HTE Americas SOQI Health Spa. Far Infrared Heat and Motion Energy - Holistic Therapy. The SOQI Health Spa is composed of one to three Far Infrared Sauna Domes plus one Sun Ancon Chi Machine thus creating a far infrared sweat-less health sauna combined with passive aerobic exercise in order to promote oxygen, circulation, elimination of toxins, mental focus, healthy back support, pain relief, healthy breathing, rejuvenation, relaxation, and much more. The natural healing powers of nature. FYI: There are NO side effects involved, NO risk of injury, NO pain, NO needles, NO toxic medications required, and NO invasive procedures. 1) Options - Whilst many people are turning away from expensive conventional protocols that are outdated and toxic, too many people depend on addictive prescription drugs which only band-aid symptoms and never address or eliminate the source. Others pay for health club memberships that are usually never kept up. Many people have no time to go to the gym, let alone make time to take care of themselves, or to research options. 2) Weather is a major health factor with many locations receiving only seasonal sunshine, or long periods of cold inhospitable weather, neither of which is conducive to maintaining health as such conditions limit or prevent being outdoors to bathe in the far infrared rays from the sun, and more importantly, from being physically active on a regular basis. 3) Expense plays a huge role in orthodox health care but if you add up your past and current expenses, natural, holistic health care is far more affordable AND non-toxic. How much have you already spent on medication, surgery, doctor visits, the chiropractor, physiotherapy, rarely used gym memberships etc? Natural Health Care is affordable, but sadly too many people wait until they become ill, and are often unaware of options available other than TV ads that promote toxic prescription drugs for everything under the sun, designed to keep you trapped inside a hampster wheel with dangerous, addictive, debilitating side effects. Natural health & healing using the powers of nature. 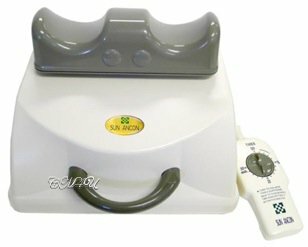 HTE's SOQI machines combine unique, high quality, award winning products, to create a natural health program solution easy to use, for all ages, within the comfort of home. The SOQI health spa is a portable Far Infrared 'dry' sauna - Far Infrared heat therapy - combined with the original Chi Machine, which creates movement - commonly known as passive aerobic exercise - for total body health maintenance and wellness. You can integrate this modern Far Infrared dome sauna and passive aerobic exercise massager into your day spa center, health club, sports team, any alternative natural healing therapy business, or ideally, create your own personal and exclusive SOQI health spa at home. 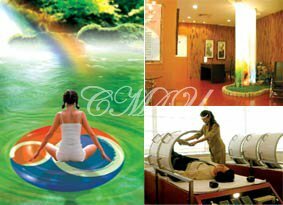 World class spas and exclusive health establishments already incorporate these holistic therapies from HTE, as they so perfectly compliment existing health, beauty and fitness programs. The SOQI health spa is for all ages including athletes, executives, students, construction workers, office workers, seniors, children, millennials or busy parents. SO means Solar. QI means Life Force Energy. Natural healing and wellness, as nature intended. SO in the word SOQI represents solar energy. Without the sun no life form can exist on our planet. QI in the word SOQI represents our internal life force energy that we breathe in and breathe out. With Solar and Chi energy, SOQI creates a natural healing therapy for your body to eliminate toxins, maintain health, re-energize, rejuvenate and relax. Music, colors, food, water, your body and your environment. Everything you choose shows the world who you are within. Far Infrared Ray (FIR), is an invisible heat that penetrates the body and gently elevates the bodies core temperature. FIR energy is measured in microns, with 8 to 10 microns being the most beneficial for humans and pets. Every living thing emits far infrared heat. Clinical research shows energy radiating from a QI Gong master's practitioner's hand is a wave of FIR energy. FIR technology, besides being used for healing, has already been integrated into household appliances, home heaters, hair dryers, and fabrics that provide warmth and insulation. Far Infrared thermal therapy is a part of daily life in Asia (SOQI Health Spa's can be found across Thailand, Taiwan, Malaysia, Vietnam and China), and fast becoming a part of daily life in the West - Europe, Canada, USA and Mexico. Thermal therapy is an ancient heat therapy dating back to the Egyptians, known today to promote elimination of toxins, relaxation, relief of muscular aches, stiffness, pain, swelling and inflammation, and to promote circulation. Far Infrared heat supports healthy lung function and promotes tissue regeneration. Far Infrared - also known as hyperthermia - has been used for decades in today's modern world (primarily in Germany and Japan), to maintain, promote and support health, by simply raising the temperature of the body. The actual concept of heat therapy, has been in practice for thousands and thousands of years - American Indian sweat lodges, the Roman Empire bath houses, Indian healers and Traditional Chinese Medicine, and martial arts such as Tai Chi or Qi Gong - these methods are all still in practice and becoming more popular every year. If you already practice martial arts, or understand Reiki, or have experienced a sweat lodge, than you understand thermal energy. Most traditional sauna and massage therapies in the West cost too much money to keep up as they require frequent visits to maintain health. Finding a sweat lodge is difficult. Visiting a spa or masseuse is time consuming and often considered a luxury treat - not so in Asia where you can afford one everyday. Owning a traditional sauna requires maintenance and space. Many public saunas are unsanitary, and both traditional massage treatments and saunas require removal of clothing due to 'wet' heat. Far Infrared is 'dry' heat, so there is no need to undress unless you want to. The Far Infrared Dome is an advanced and sophisticated form of heat therapy radiated from the crystal chip surface, a ceramic heater for the body. It bathes your body in gentle far infrared heat energy, working from the inside out of each individual cell. Sunbathing to receive the benefits of far infrared ray naturally present in sunlight, is not available year round. Sunlight however, also contains ultra violet ray which burn, age and damage the skin. Far Infrared ray do not burn the skin but actually promote generation of healthy tissues as well as eliminate chemicals, toxic waste and heavy metal poisons accumulated in the body. The Chi Machine creates physical movement (a passive form of aerobic exercise), critical for mental, emotional and physical health, something not fully experienced on a daily basis by many people, due to lifestyle choices and obligations, weather conditions, limited time or physical challenges. Regular and consistent daily movement of the body promotes circulation, increases oxygen levels, and activates the lymphatic system enabling metabolic toxin and waste elimination. Health benefits increase when used together - a perfect couple. 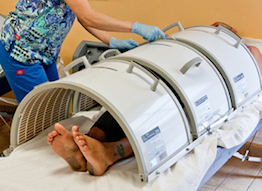 Medical Clinics in Europe and Asia have been using Thermal Therapy for well over 60 years with great success. 4) Relieves pain, swelling, inflammation. 5) Promotes elimination of harmful substances in the body (including heavy metals). 10) Supports healthy lung function. - Edited extract from HTE Australia SOQI News for Australia, New Zealand, England and Europe. August/September 2005 - Hsin Ten Enterprise (Aust) Pty Ltd.
Research PubMed.gov which has millions of bio-medical citations - worldwide clinical case studies and results. Lie down underneath the three Far Infrared domes, put your feet on the Chi Machine, set the timers and relax. By using one to three Far Infrared Domes, you can create a channel of soothing far infrared ray energy from the feet to neck for 15 to 60 minutes per session. The Chi Machine may be used at the same time. The Chi Machine can be used from 2 - 20 mins maximum per session. Beginners need to start at 4-6 minutes depending upon health level (less time if frail, unwell or elderly), and then slowly add minutes each session or every other day. If any discomfort occurs, simply reduce minutes. The Chi Machine may be used from 1-3 sessions per day - best time of day being first thing in the morning before breakfast. The Chi Machine should be used before eating, or at least 60 minutes after eating. The Far Infrared Sauna Domes may commonly be used for 15 to 60 mins per session. Best time of day is during the evening hours. 1) Drink a glass of water after each session to stay hydrated and to flush out released toxins. 2) Clothing removal is optional. Contraindications due to lack of water or long sessions, may include temporary tiredness, headaches, dizziness, discomfort, redness, dry skin, rashes and nausea. Please reduce time and be sure to drink plenty of water if any of these symptoms occur. This is normally due to dehydration and/or toxin release. 1) Breast implant users are ok - no the implants will not melt. 2) People with metal plates, pins and rods are also ok - no the metal will not heat up. 3) Pregnant women need to exercise caution and common sense - it is best to wait 4-6 weeks after giving birth. 4) Pacemaker users need to exercise caution or refrain if models are old or unstable. 5) Refrain from using far infrared heat during menstruation - flow may be increased. 6) Do not use the Chi Machine with broken bones until well healed - the Dome is ok to use, and may accelerate healing. If ever in doubt ... don't, or ask your health care practitioner if they are familiar with Far Infrared therapy, or email us for guidance. 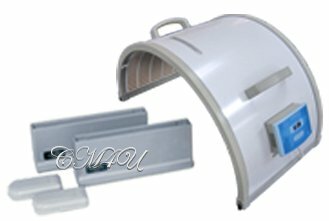 Far Infrared Dome Sauna used with Sun Ancon Chi Machine. Natural, non-toxic healing and relaxation. "We use the Chi Machine and 3 Far Infrared Domes in our health center, in conjunction with other natural therapies to relieve pain, eliminate toxins and increase vitality and well-being. The 3 Domes with the Chi Machine have helped our patients with temporary pain relief and increased their sense of well-being." - Carla Peppler, NEX Health Center Nurse Practitioner, Natural Medicine and Health Consultant - Hanover, Ontario, Canada. "My focus has shifted radically in the last few years ... to using natural therapies as a primary way to help health challenges. My patients have been experiencing great success with The Chi Machine and Far Infrared Dome. I am offering free trials to most of my patients and letting them feel the immediate benefits in the office. I'm truly convinced that these units can help a lot of people naturally. My wife is using the SOQI Health Spa and loves it." - Shivinder S. Deol, M.D. - President Kern Academy of Family Physicians since 1977, American College of Advancement in Medicine, Bakersfield CA. USA. "I use the SOQI Health Spa daily for physical as well as mental and emotional healing. It provides a wonderful meditative safe place for spiritual contemplation as well." - Maureane Dupuis - Registered Craniosacral Therapist, Edmonton, Alberta, Canada. FACT: Without daily movement (natural state of all healthy living things), without Far Infrared heat (naturally emitted by the sun and within every living thing), without regular daily elimination of toxins and waste, without hydration and living nutrition, the human body cannot thrive or survive. Ideal for health spas or home health care. Many people worldwide get creative and build their own platform bed - a regular massage table is not wide enough. The other option is to buy the luxurious SOQI Bed Sauna Spa - a x6 month Installment plan is available. Learn more about the individual machines. All machines are the original, not sold on Amazon or eBay - beware of imitations that do not provide the same health benefits. Serious holistic healing therapy for natural health and wellness. The foundation of a healthy mind and body. FAST DELIVERY USA 1-5 business days. More vital than a simple breath. occurs through movement of the body. diet, nutrition and holistic healing machines. This ultimate Far Infrared sauna is known as the SOQI Bed which accommodates x3 Far Infrared Domes and x1 Chi Machine, with each machine designed to lock down onto the massage table platform bed. This luxury set up includes storage, a built in relaxing music MP3 player with x2 speakers (on either side of the head rest), plus an all-in-one control panel (located to the left of your head as seen in the photo below). Music adds to relaxation and the the overall kinesthetic healing experience is deeply soothing and comforting. The SOQI Bed is only available for sale in the USA and Asia. However, SOQI Health Spas are widely available to visit across Asia, Mexico and Canada, and may also be found in the USA, Australia, New Zealand, the UK and Europe. Natural health and wellness for the entire family. Excellent for spas, clinics and sports teams. Installment plan available, Interest free. ©2002-2019 Chi Machine International - HTE Distributor.